A fiendishly fowl game in the wacky world of Random Encounter! 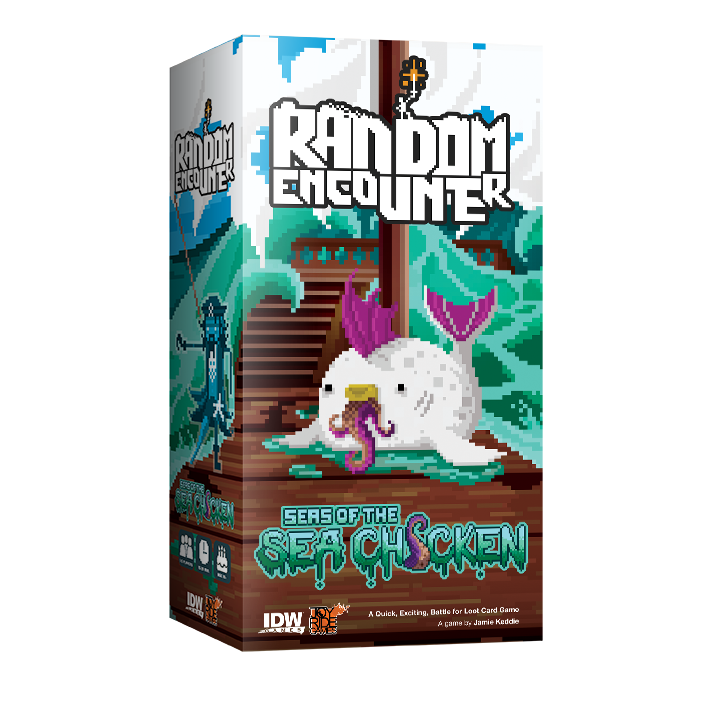 Monday February 13, 2017‘Arrrrrrrrm yourself with a whole new set of powerful encounters in this new expansion brought to you by Jamie Keddie, designer of the original Random Encounter card game. 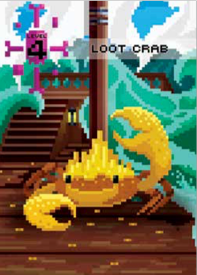 This time around, the incredible retro-pixelrific art is nautically themed with favorites like giant man-eating clams, sirens, a clan of Vikings, and a baby on a seahorse, to name a few. 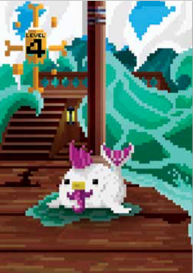 And what would the game be without a progressively fatter series of sea chickens? The question is… what do sea chickens eat? And how do they get so big?? Any fan accustomed to the original Random Encounter will have no problem picking this stand-alone expansion up and playing. Games are lightning-fast and play in 15 – 20 minutes. Players will each take a set of 9 Encounter cards, each featuring one of the outrageous creatures described above, and strategically create 5 piles of facedown Encounters. Each Encounter is placed facedown so swindling deck swabbies can’t peek. Place your Loot die (which indicates your victory points) behind one of these Encounters to protect it, and let the random encounters begin. Random Encounters occur as players take turns flipping over one of their respective card-piles and declaring another opponent’s Encounter to duel against. 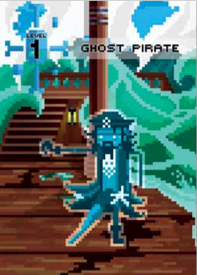 Every card in the Encounter has a number inside a colored skull-icon which indicates its combat strength. The color of the skull indicates any special powers. Defeating an Encounter that protects an opponent’s Loot die allows you to steal a loot from them. The first to six Loot wins! This is a complete stand-alone product which can be combined with the original Random Encounter: Plains of the Troll King, to create some hilarious off-the-wall land and sea mash ups. Shell out $19.99 clams and this booty be ‘yerrrrrrs!